School has been in session now for over a month. I am sure that in many classrooms across America, writing assignments have been handed out in English Composition classes with the theme “What I did on my summer vacation”. Although it has been many years since I have been in school I did experience a wonderful and different summer vacation this year and so I wish to share the experience with you. One of the reasons it was different is because it is very rare that I take a vacation during the summer or any other time of the year. I could probably count on one hand the number of vacation trips I have taken over the years. I have taken vacation time off, but rarely was that time used to travel. So, why was this year different? Well, let me start at the beginning. Many years ago I found myself at the end of my marriage. As a result, my former wife, and my son and daughter packed up and headed north to live in Massachusetts. Through out the years, there were the usual several weeks in the summer and occasional week at Christmas that were spent together. This always meant them traveling down to Ohio to spend the time with me, but I never traveled north to Massachusetts to spend time with them.. Eventually, time and life got in the way. My children grew older, married, and began raising families of their own. The visits over the years continued but they became shorter and less frequent. But this year it was different. 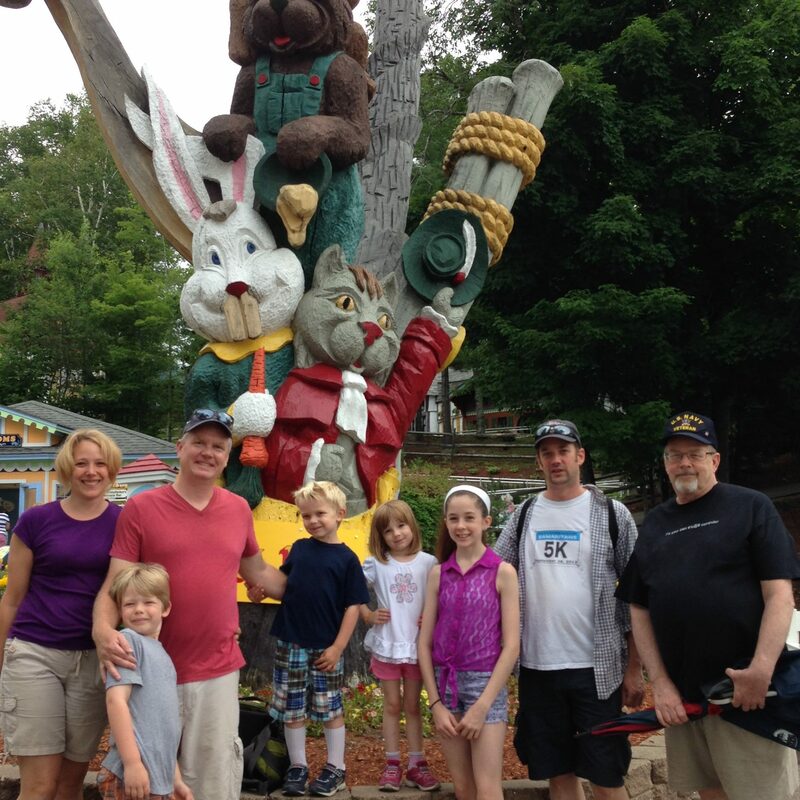 This year I traveled to Massachusetts to spend time with my son and daughter and five grandchildren, two grandsons who are my daughters offspring, and two granddaughters and a grandson, the offspring of my son. Not to belittle the time spent with my children, but to get to hang out and interact with my grandchildren was truly the highlight of the trip. I do not wish to turn this article into a verbal slide show of all the places we went, and all the things we did during the trip, so I will only highlight a few. In my opinion, the vacation was much more about who I was with, not where I was or what I did. For example, I was very surprised to find out how much better seafood tastes when it is freshly caught and prepared. Another phenomenon that I encountered were the ice cream farms. We went to several of these ice cream farms that had enough unique flavors to put Baskin-Robbins to shame. And it appeared, to some extent they were also working farms. The had some small animals the children could pet. Furrowed rows of crops in plain view, and I guess, out back somewhere, were the ice cream trees (or bushes). Of course, being a true aficionado of ice cream (as my waistline will attest), it is understandable that the ice cream farms would be a memorable part of the trip. It was truly a wonderful time. Not only did I get to hangout with my Grandchildren, I got to know my son-in-law better. For that I am grateful. On top of everything else, I learned several new games, the names of the games elude me, but I know there were a lot of Disney characters involved. Also of note, I feel that after that week, when my name is mentioned around my grandchildren they will no longer get a quizzical look on their faces and say “who?”. Life tends to throw curve balls all the time. For example, while employed, I could more easily have afforded such a trip, but time and circumstances intervened. Now that I am retired, I have plenty of time, no circumstances of any consequence, but being on a fixed income makes such travels less affordable. But, I will figure it out. So, if you see an old man at the on-ramp to the expressway with a sign around this neck saying “Help send me on vacation”, be sure and drop a coin in my, er, I mean, his tin cup. Tim and Jen and Brian, thanks for having me. Jon and Ally and Bryson and Jason and Indira, you guys are great. Disclaimer: The grandchildren were listed in chronological order so as not to show any favoritism. We loved having you here and look forward our next vacation together regardless of whether is in Ohio or Massachusetts. My boys keep reminding me that I need to put on the bumper sticker that says “this car climbed Mt. Washington”.